Comedy being my least favorite genre of fiction, I only read Muv-Luv to prepare myself for its highly esteemed sequel. And, as I suspected, pretty much every single scene of this visual novel proved to be a torturous ordeal of terrible, flat humor. I usually tend to skim through the routes of heroines I don’t particularly like, but the routes of Kasumi and Meia alone, the only girls that I didn’t flat out hate in here, had already nearly driven me insane, so I just quit. After you clear Sumika’s route, you get a short glimpse at the sci-fi world of Alternative in the form of the “Unlimited” route. It’s nowhere near as good as Alternative, but it shares the same tone and is overall an interesting piece of dystopian mecha fiction. I count it as a part of Alternative, a trailer for it, if you will, rather than a part of the original Muv-Luv, though. 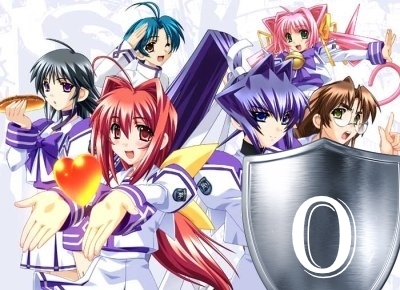 I wouldn’t recommend touching this one at all, but since you *have* to do it to get the most fun out of Muv-Luv Alternative (which is one of the best visual novels ever written), I recommend skimming through Sumika’s route lightly, checking out the “Unlimited” route, and jumping straight to the sequel. Can I just read Meiya’s route in Unlimited or do I have to go through the whole of Unlimited? Actually, I think I only read Meiya’s route in Unlimited myself. Yup, I agree with you on this one. Alternative is way better than its prequel, and surpasses Unlimited in all of its glory. Some correction, man, but Kasumi still doesn’t exist in the world of Extra and Unlimited. I think you are referring to Kagami Sumika, perhaps?